Have you heard about your new beauty hot spot in Galway? Petite Beauté is a French beauty salon located in Forster Court in the heart of Galway city. 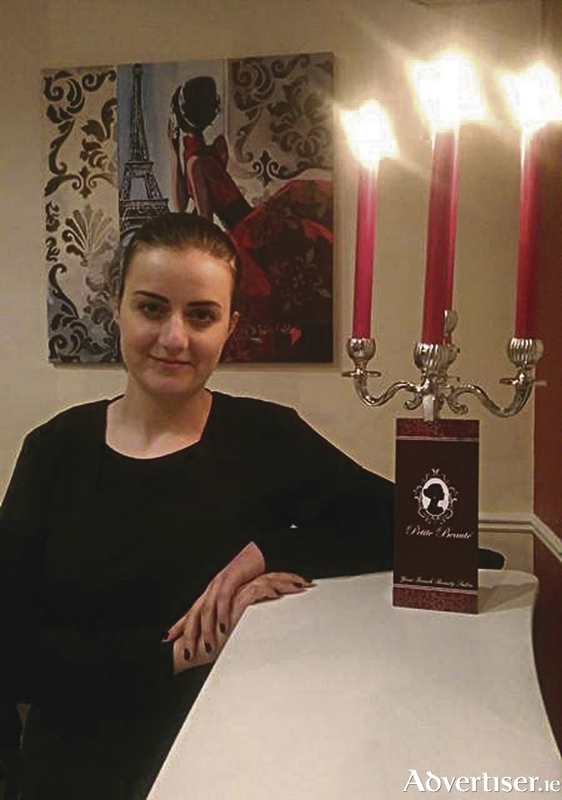 Less than two minutes walk from Eyre Square and owned by French native Cynthia, it opened its doors in January and definitely became a must-go salon. From facials to nails through to massage, waxing, make-up and tan, all your beauty needs will be fulfilled in this very chic salon. The owner is very friendly and client focused, she also specialises in deep tissue massage, waxing and expert facials. Cynthia trained in an international beauty school in Cannes in the south of France and after seven years of experience in the French Riviera and Galway she brings us all her knowledge and experience in her new beauty salon. The salon is a stockist of the best brands such as Phyt’s (100 per cent natural French cosmetic ), Lycon wax, OPI, Shellac, Vita liberata and Fuschia make-up. You could also try micro needling, one of the the most effective non-surgical anti-ageing treatments, delivered according to the highest hygiene standards. The salon itself is a gem in town, elegantly decorated in a French modern baroque style, it feels very cosy and warm. And it only gets better! Opening hours are from 10am to 8pm from Monday to Wednesday, 9am to 8pm Thursday and Friday and 9am to 7pm on Saturday and the salon is also open on Sundays. There is a 10 per cent discount for students. To book telephone (087 ) 1680140.